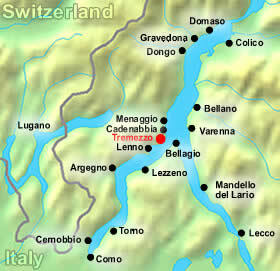 Here’s where we are (red dot)…Watch the Tremezzo Italy Video! 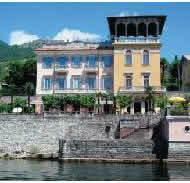 Tremezzo hotels have long been a retreat for 18th century and 19th century aristocracy. 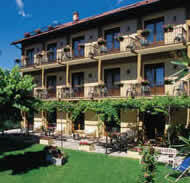 Tremezzo has a stylish flair combining impressive villas with splendid, panoramic views. 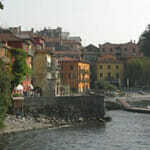 Fortunately there are many Tremezzo hotels to choose from as it is a great base from which to explore other Lake Como towns. Now you can do a search to compare the rates of all Tremezzo hotels by choosing your preferred dates from the search box below OR you can browse through all the hotels listed below. 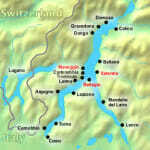 Location: Right on the lake and 150 meters from the center of Tremezzo. 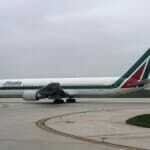 Description: Fantastic in every respect! All beautifully furnished rooms give you a panoramic view of the lake with a balcony. Exceptionally friendly staff. Includes a private boat dock. Great value! 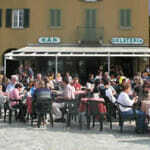 Location: 5 minute drive up the mountain from Tremezzo in Tremezzino – overlooking Lake Como. 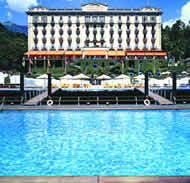 Description: Comfortable rooms with breathtaking views and exceptionally friendly service. A car is essential due to the hotel’s location. 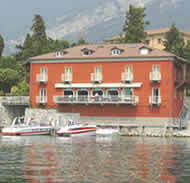 Location: Right by the lake and main road, next to Villa Carlotta. 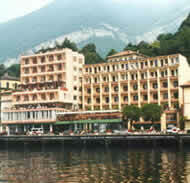 Description: A beautiful old hotel with elegant rooms and spectacular views/surroundings. There is a floating pool on the lake just for guests right accross the street from the hotel. Be sure to upgrade to one of the lake view rooms if possible, as they are also more spacious – you won’t regret it! Location: Right on the lake and a short walk to the ferry dock. Description: A nice hotel with old-fashioned decor and charm. Clean and spacious rooms with a balcony overlooking the lake. Location: Up a hill 1 km from Tremezzo. Description: A comfortable and welcoming, family-run hotel in a quiet, relaxed setting. 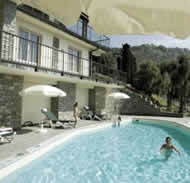 One of the many Tremezzo hotels with incredible views and a swimming pool. 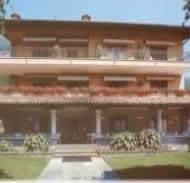 Location: Right on the lake surrounded by a garden, 5 minutes to Villa Carlotta. Description: Nicely furnished, modern and spacious rooms. Rich buffet breakfast on a delightful terrace overlooking the lake. Don’t forget to ask for a room with lake view and watch the midnight curfew! No Online Booking Available. Call +39 0344 40427 to check rates/availability. Location: 2 km from Tremezzo up a mountain. A car is essential. Next to a tennis court and an 18-hole golf course 10 minutes away. Description: Very clean and comfortable rooms in this family-run hotel. You will find it superbly peaceful and quiet in this rural location. Great value! No Online Booking Available. Call +39 0344 40408 to check rates/availability. Tremezzo Italy has a few 1 star and 2 star hotels for budget travelers who also want to have a taste of Tremezzo’s incredible charm. English may not be spoken in many of these places and rooms will be very basic. 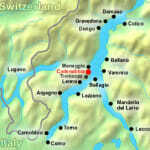 You can always use our maps to map out the addresses of any Lake Como hotels.